Many people will be surprised to learn that the most dangerous animal in the African savannah is not the lion, or the crocodile, or the leopard. The animal that causes more human fatalities than any other is the hippo. While the hippo might look to some like a jolly roly-poly carefree character, that couldn’t be any further from the truth. Hippos are ill-tempered, aggressive, territorial, and most important, not afraid of humans. Many poor saps minding their own business canoeing down the river met their end when an angry hippo decided to capsize their vessel and gnash the occupants between their giant teeth. 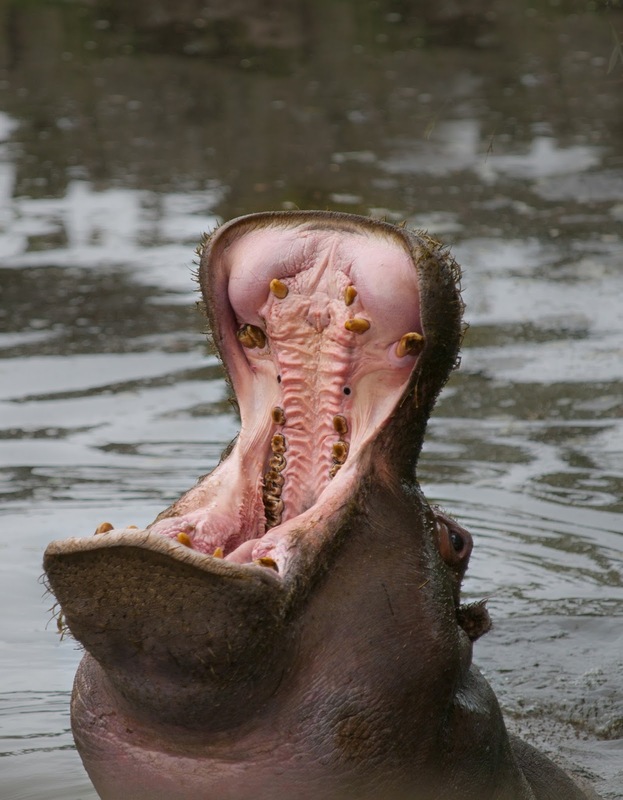 Check out this article on hippos and read about their endearing “dung showering” practice. If you ever go on safari, avoid the hippos! At Intuit, we use the acronym HIPPO to mean the Highest Paid Person’s Opinion. Making HIPPO decisions is also something to be avoided. When it comes to innovation, data is what we value. We prefer to make decisions by experimentation, running lean, scrappy tests that yield data that informs our decisions. We prefer testing our hypotheses with real customers and learning from how actual behavior deviates from what we expected. Making decisions by experimentation are core tenets of Design for Delight and the Lean Startup. When we hold Idea, Solution, or Code jams, we advocate that organizers not have a panel of judges made up of senior leaders because this propagates the HIPPO decision mindset we’re trying to change. Instead, we want to develop an experiment culture. We suggest jam organizers invite real customers to judge. One of our techniques is to give the customers a finite amount of “Scott bucks” which they can choose to invest in their favorite ideas. If inviting customers to the jam is not practical, a more palatable alternative to HIPPO judging is popular voting by employees, tapping the wisdom of the crowd. We’ve used SMS voting which makes the process fun and engaging. Also, teams should be rewarded for the amount of real world data they’ve been able to collect by testing their idea. Another reason we discourage HIPPO panels is that we’ve found the best presented ideas (vs. the best ideas) are the ones that tend to win. Often the gist of the idea gets lost when a team is given only a couple of minutes to make their case to the judges. This might be fine if the goal was to entertain like some sort of American Idol for ideas. Our goal is to drive growth! You might then ask, what is the role of senior leaders if they can’t be judges? 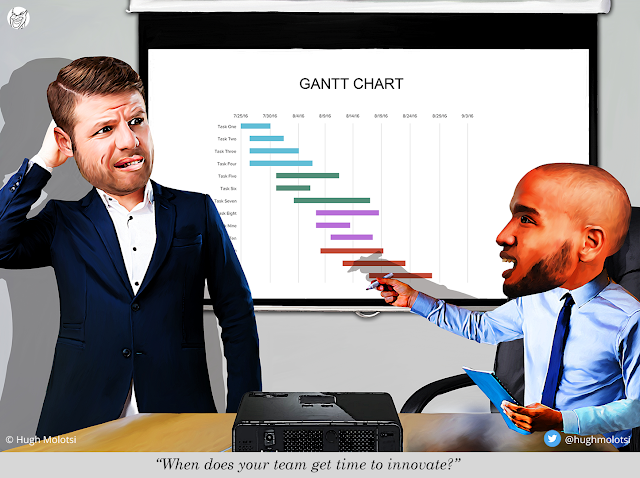 Isn’t it helpful to involve senior leaders who can be most effective in making sure the best ideas become funded initiatives? We believe an important role for leaders is to inspire. Senior leaders have an important role of defining the business strategy and articulating the vision of what success looks like. Senior leaders can be invited to speak at the beginning of jams. They can also be recruited to coach teams over the course of the jam and after the jam. The senior leaders’ engagement will encourage teams to continue testing their hypotheses and applying what they learn. Remember: Avoid the hippos, whether on safari or making decisions!